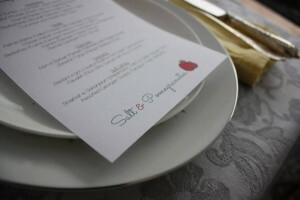 I started a dinner series in May called Salt & Pomegranates. I’ve long wanted to explore Persian cuisine and cuisine from the Republic of Georgia. Since I live alone (and, honestly, don’t like cooking for one), I decided to start a supper club, which would give me the opportunity to explore new recipes and to entertain about a dozen people at a time. Two of my favorite activities on earth! 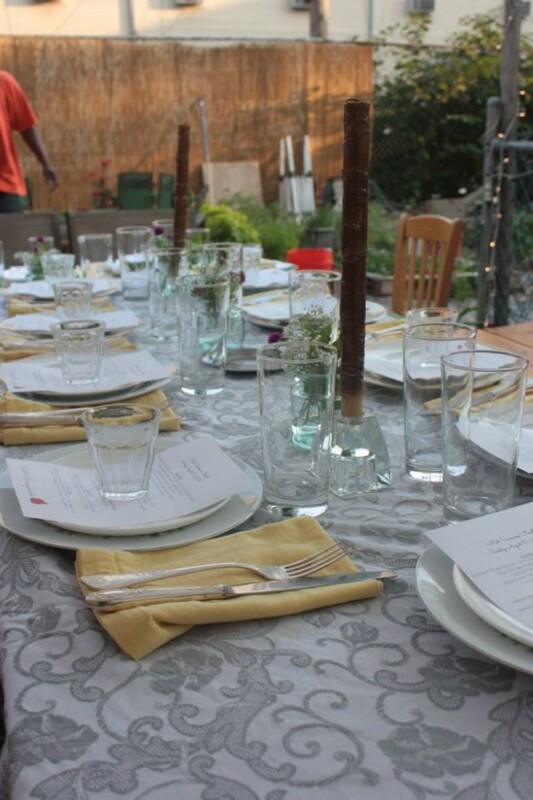 Feasts take place in Brooklyn, and I hope to bring them to cities around the US where I have friends posted. Please check out the website — SaltandPomegranates.com — and sign up to receive updates on the Contact Page. I’ll leave you with a recipe that incorporates salt and pomegranates — Basturma of Lamb, a Georgian kebab recipe from one of the inspirational cookbooks I’ve been working out of. Thread the cubed meat onto skewers and place the kebabs in a deep baking pan or pot just wide enough to accommodate the skewers. Mix together all the ingredients for the marinade and pour over the skewered meat. Cover tightly with plastic wrap and place in the refrigerator. Allow to marinate overnight, and up to 48 hours. About an hour before cooking, take the meat out of the refrigerator. Remove the skewers from the marinade and dab with paper towels to remove excess moisture. Allow the meat to come to room temperature. 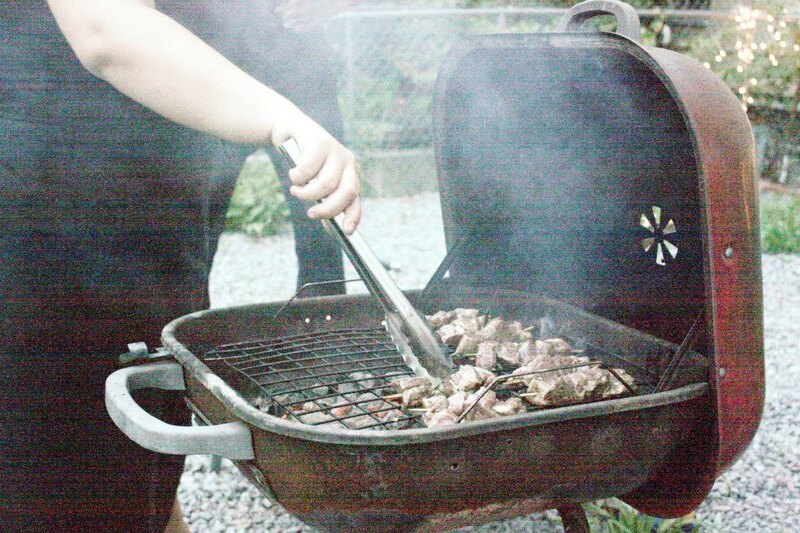 In the meantime, prepare the coals for your grill (if you have a charcoal grill). Grill the kebabs for about ten minutes, flipping them to cook evenly on all sides. Note: I used bottled, not-from-concentrate pomegranate juice. During the winter, when pomegranates are in season, I would suggest using freshly-squeezed juice. This entry was posted in About Me, Recipes and tagged feast, lamb, news, pomegranates, salt, salt & pomegranates on August 22, 2014 by marinaberger. I once saw in the salt mines. in it, we taste infinitude. This entry was posted in Uncategorized and tagged Pablo Neruda, poetry, salt on April 20, 2011 by marinaberger.